Hillsborough, Carriacou, April 12, 2013- “Keep your vision, keep your mission”, words of encouragement given to young Kayak cricketer Emmanuel Stewart, from Minister for Carriacou and Petite Martinique Affairs Hon. Elvin Nimrod. 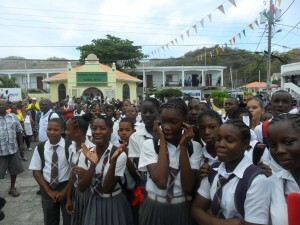 Minister Nimrod was among several persons which included Parliamentary Secretary Senator Jester Emmons and the staff and students of the Hillsborough Secondary School, who welcomed the 13 year old back home, after his outstanding performance in the recently held Windward Islands under 15 tournament in St. Vincent. 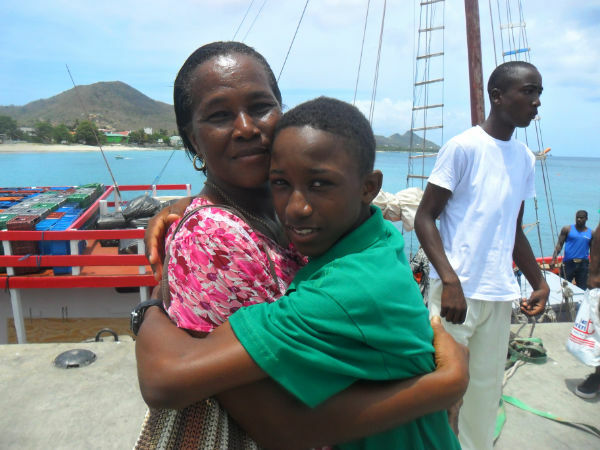 Stewart created history when he became the first Kayak to be selected on the National under 15 Cricket Team and also the team’s captain. School Principal Brian Lendore noted that the youngster is an all rounded student, humble and excels both in academics and sports. “Stewart is a shining star which other young people should try and emulate,” he said. Also recognizing his outstanding performance was Republic Bank Grenada Ltd, sponsors of the Carriacou United Cricket Board Domestic Competition. Branch Manager Roger Patrice presented him with a token of appreciation on behalf of the bank. Stewart’s outstanding performance saw him return home with four awards including the most runs scored in the tournament (349); Most Valuable Player for Grenada as well and the Tournament’s MVP and the Best Wicket keeper. 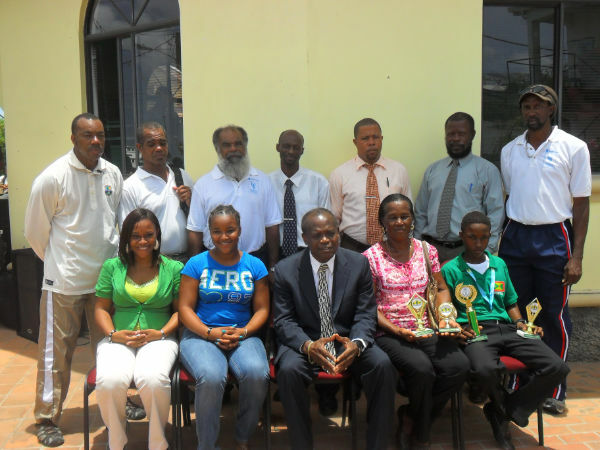 He will now be leading the Windward Islands Under 15 Team in the West Indies Tournament in Jamaica in Mid-July.